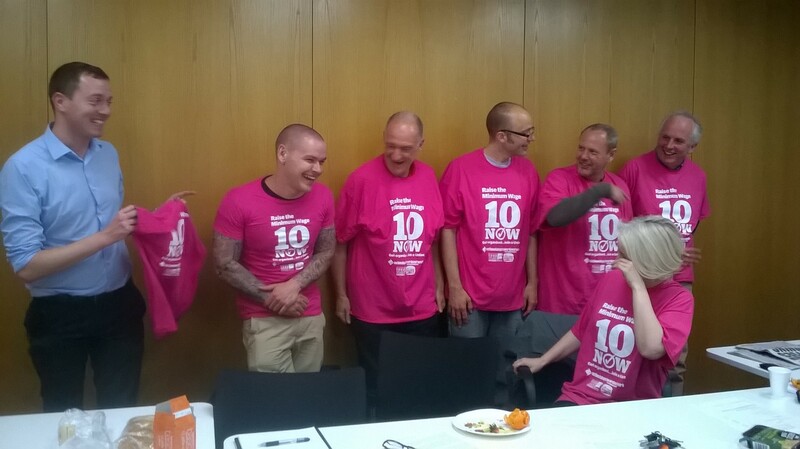 The April branch meeting was proud to support the £10 Now! campaign for a £10 per hour National Minimum Wage. This campaign is being led by the bakers' union (BFAWU), but low wages are a big issue in our sector, despite the high surpluses amassed by housing associations. The campaign is being supported by Unite nationally. For more details, see the Hungry for Justice and BFAWU websites.